Using APKPure App to upgrade Rise of Heroes, install xapk, fast, free and save your internet data. Explore this fantasy strategy RPG game designed especially for the entire Arab World! The most powerful ancient necromancer awakened from the pyramid, hiding behind him is unimaginable evil! The whole world is hanging by a thread. Build your adventure team and summon over 200 Heroes with various abilities from different factions. Enjoy a PVP battle arena, use your own unique strategy to compete with other adventurers from the Arab World. Collect your heroes and show off your strategy, immerse yourself in the richest RPG elements of Arab Heroes displayed with a 3D graphic. Localized for the Arab World, we show you the beauty of this great culture. With the great Aladdin, the ingenious Sinbad, the brave Arab prince, and the beautiful princess, you will embark on a magical adventure. Immerse yourself in this role-playing which leads to a great comradery between you and your Heroes. Win with your fellow Heroes using various tactics! This is a game that you have never seen before! - Build up Your Team with Various Heroes! Meet over 200 Heroes from 5 different factions, each with different appearances, figures, and skills. Collect as many Heroes as you can and assemble the greatest team! With 15 different attributes of Gem sets, you could explore more equipment matches and perks for your Heroes. Even a Hero born week can be raised up to compete with Legendary Heroes. Reveal your unique strategy to challenge others or defeat powerful bosses! Pick different Gems sets and choose your Heroes to win battles with the best strategy. Assemble teams for different situations. Show off your strategic mindset. Challenge ancient monsters or mythological creatures from Arab legends with your elite team. Once you’ve beaten these powerful bosses, you could gain plentiful rewards. And you can challenge the bosses at different levels of difficulty. Join the Arena battles and face the challenges from the entire Arab World with your defensive team. Or you can challenge other Adventures to show your strength. Become the PVP master of the Arena and receive rewards based on your rank. Experience real-time contact with adventurers in the Arab World. You can join the world chat, or comment your favorite Heroes. Become friends and challenge the strong enemies together. Find a Master or become a Disciple to explore this rough world together. In this world, you shall build a strong connection with other players! Want to play PVP with others outside the arena? You can invite your friends to join a real-time battle. You each choose your team and use your wits. Choose your next move carefully. Now come, and experience these exciting real-time battles! Join millions of players worldwide as you collect epic heroes, enhance them, and crush enemies in Arena! 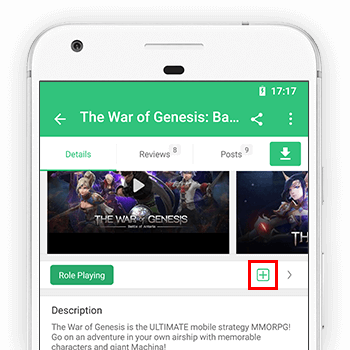 - Added message reminder function, adventurers can tap the button to go direct to the event page. - Optimized some game performance. - Adjusted some heroes’ skills.